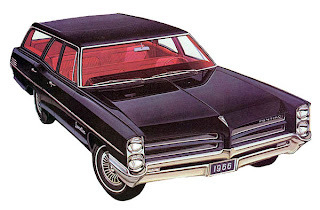 The 1966 Pontiac Grand Parisienne Sport Sedan weighed in at 1 791 kilos (3,950 pounds) and listed for $3,789 f.o.b. Oshawa, Ontario before taxes. Canadians had made Pontiac the number one darling of the driveway since 1962 as its full-sized offerings outsold stable mate Chevrolet. Even though the two vehicles shared the same chassis and drivetrain, Pontiac was perceived as the value-laden buy. The 1965 model year sales was particularly good, it saw the freshly designed, full-sized Pontiac pull ahead of Chev by more than 9,000 units. For the 1966 selling season, Pontiac was back with slightly revamped offerings. This year consumers could buy the Grand Parisienne, Parisienne, Laurentian and Strato-Chief models as well as quartet of Safari wagons. A handful of Tempest and LeMans models were imported from the US. To round out the dealers’ offerings there were Beaumonts, Acadians and Envoys, the first two homegrown and the latter a badge-engineered Vauxhall imported from General Motors' subsidiary in the UK. 1966 Pontiac Grand Parisienne Sport Coupe. A new Grand Parisienne topped the line and was offered as a Sport Coupe or a Sport Sedan, both hardtops. 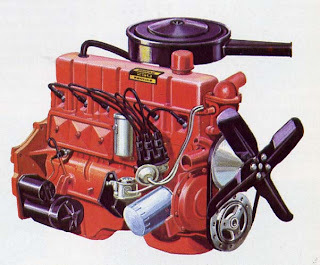 Billed as bringing excitement to the luxury-performance segment of the market, they promised to be an “excitingly swift means of going places.” These B-pillarless beauties were kissed with the 4.6-litre (283-cubic inch), two-barrel Strato-Flash V-8, generating a very respectable 195 horsepower. The pair was dressed to the nines with a distinctive grille and rear deck of its own, along with unique roofline styling. It was further distinguished from lesser Pontiacs with sleek rear fender skirts and its own wheel covers. Inside, passengers were spoiled with Strato-bucket seats in the Sport Coupe and a full-width Strato-bench seat in the Sedan. Seats were upholstered in a luxurious Palais Cloth and vinyl in two-tone combos that included Black, Turquoise, Red, Gunmetal, Plum or Parchment. Instrument panel of the 1966 Pontiac was easy on the eyes. A trio of gauges was canted toward the driver. A woodgrain appliqué dressed up the instrument panel and the centre console. The Grand Parisienne was decked out with thoughtful additions including a passenger assist bar, padding on the instrument panel and sun visors. The model was given two-speed electric windshield wipers, a left-hand outside rearview mirror, backup lamps and seatbelts all around. 1966 Pontiac Parisienne convertible and four-door Safari wagon. The Parisienne family consisted of five models. Though it might not be king of the hill anymore, it was still a very popular seller. Advertising called Parisienne “the magnificent one.” Here, one found the convertible, a Sport Coupe and Sport Sedan, a four-door sedan and a four-door, Safari wagon available in two- or three-seat configurations. 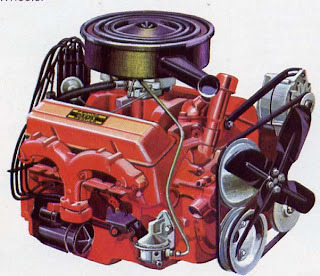 The base mill in the 1966 Pontiac was the 4-litre Astro-Six 250. Like Rambler engines, it boasted a longer life because of its seven main bearings. Those who ordered the 1966 Grand Parisienne were treated to the Strato-Flash 283 engine as standard equipment. It promised to deliver good gas mileage and good getaway on highways, too. Parisiennes were delivered with their own unique trim and badges, dressy chrome around the wheel wells and on the body. Interiors were colour-keyed Prestige cloth and vinyl. Choices were Dark Blue, Medium Fawn, Black, Dark Turquoise and Plum in the Sport Sedan and Sport Coupe. The convertible's interior was upholstered in all vinyl interiors: Dark Blue, Medium Fawn, Black, Dark Turquoise or Plum. 1966 Pontiac Laurentian two-door sedan. Nice touches included Deep-Twist carpeting, an electric clock, padding for the instrument panel and sun visors and seat belts as standard equipment. One could add extra pizzazz by ordering a Sport Option package for the convertible or the Sport Coupe. Included in this deal were the Strato bucket seats, all-vinyl trim, a centre console, glamour wheel covers and special Custom Sport badges. The 1966 Pontiac Laurentian four-door sedan sold for $3,1115 and the two-seat Laurentian Safari wagon carried a list price of $3,525. Laurentian was more modestly appointed though it promised to bring “beauty, luxury and bold performance in the year’s biggest value package.” One could have a two-door or four-door sedan, a four-door, two-seat or three-seat Safari wagon. Interiors were finished in colour-coordinated Rochelle cloth and vinyl as well as carpeting in Medium Turquoise, Medium Fawn, Medium Blue or Medium Red. Seat belts came in corresponding colours. The lowest priced Pontiacs for 1966 were the Strato-Chiefs. The two-door sedan could be had for $2,931 and the Safari wagon for only $3,405. “The low price Pontiac with the dollar saving knack” was found with the purchase of a Strato-Chief, of which there were three: a two-door sedan, a four-door sedan and a two-seat Safari wagon. Interiors were finished in Ranier cloth in a choice of Medium Fawn, Medium Blue or Medium Red. Even at this low price, a heater and defroster unit was included in the base price as were carpeted floor mats. Wagons came in all trim levels but each was 5 539.7 millimetres (218.1 inches) long and boasted a vast 2.66 cubic metres (94.1 cubic feet) of “load-toting capacity.” Pontiac sales staff pitched the big land yachts as dual-duty carry-alls. Seats were all vinyl in Safari wagons. Magic Mirror exterior finishes were offered in colours including Provincial White, Regal Red, Cypress Green, Marina Blue Metallic, Cameo Beige, Aztec Bronze Metallic, Lemonwood yellow, Sandalwood Tan Metallic, Mist Blue, Madiera Maroon, Royal Mist, Artesian Turquoise Metallic and Tuxedo Black. There were plenty of options for dressing up one’s Pontiac including power steering, power brakes, power windows, the Flexomatic six-way front seat, many heavy-duty items, whitewall tires, a tachometer, a seven-position tilt steering wheel, Positraction rear axle, an AM-FM All-Transistor push-button radio, Four Seasons Climate-Control Air Conditioning Unit for V-8 models, Shade-Lite tinted glass, bucket seats and a centre console. Police departments and taxi operators could order special packages for their needs. Pontiac finished the calendar year with 82,825 sales. That put it in second place behind full-sized Chev sales, whose figures added up to 88,338 units. Either way the boys in Oshawa could break out the bubbly, GM was going great guns.